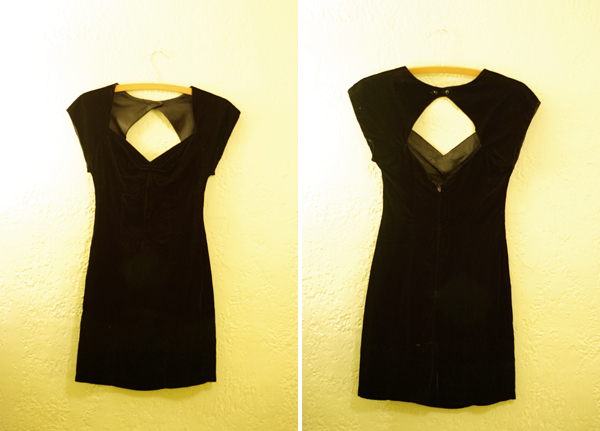 This velvet mini dress is killer. 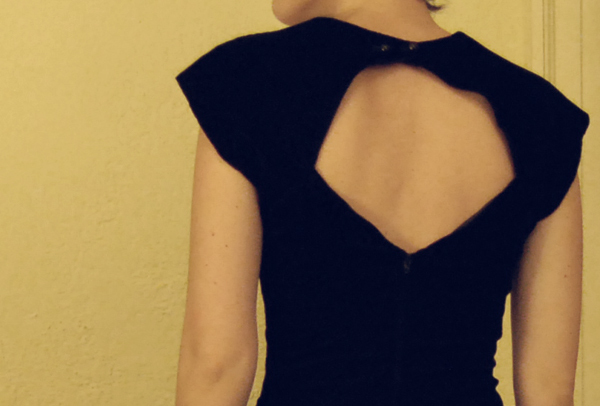 It's cute around the bust and has an awesome cut out in the back. 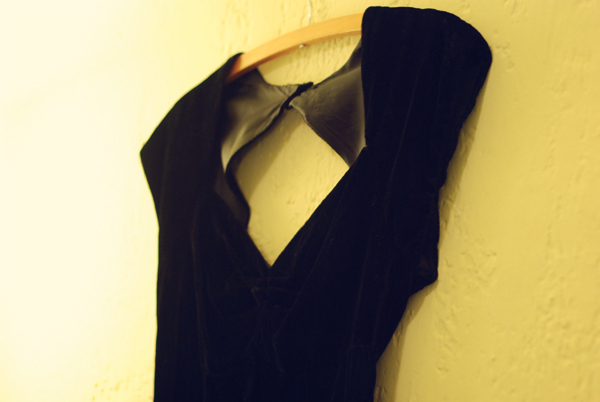 There's a small spot near the bottom of the back of the dress where it's been worn and is a little discolored, but other than that, it's in wonderful shape.